Red Dot Design Award – Again in 2017! Hey-ho! Once more we are at the Red Dot Design Award Ceremony in Germany. We were invited to Essen to get the Design Award for the 3Shape X1, which is a radically innovative dental product with superior technology and patient comfort, that comes from new materials as wood, and new user experiences guided by light, just to mention a few. As Chief Designer for 3Shape, Eskild says, “The X1’s iconic Scandinavian shape and functionality is unlike anything ever seen by the dental industry. Not only does the X1 deliver outstanding 3D imaging quality, it creates a paradigm shift in design for medical equipment.” Sounds amazing, isn't it? Great people create great things. 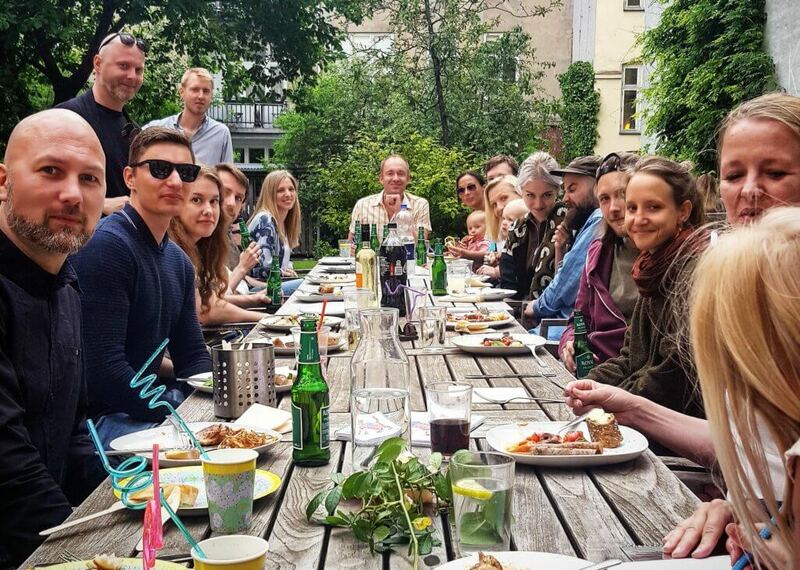 We know the importance of a good team spirit and happy co-workers, and truly, we have so much to celebrate from the year that is behind us. That all led to a wonderful evening of grilling and chilling together with family and friends in our backyard garden. Skål! Discussing the future of innovation with my long-time friend, Ted, CTO of QuantaComputers. What an inspiring week it has been. Held in Barcelona, the Mobile World Congress 2017 gathered entrepreneurs, investors, and innovative minds from all over the world to discuss how mobile is the force behind every emerging innovation. Besides the great exhibitions, our CEO, Eskild also had the chance to express his thoughts in a panel discussion focusing on how forward-thinking companies use design and customer-centric thinking to breathe disruption into their products – or sometimes even to their culture. Barcelona, thank you for having us! 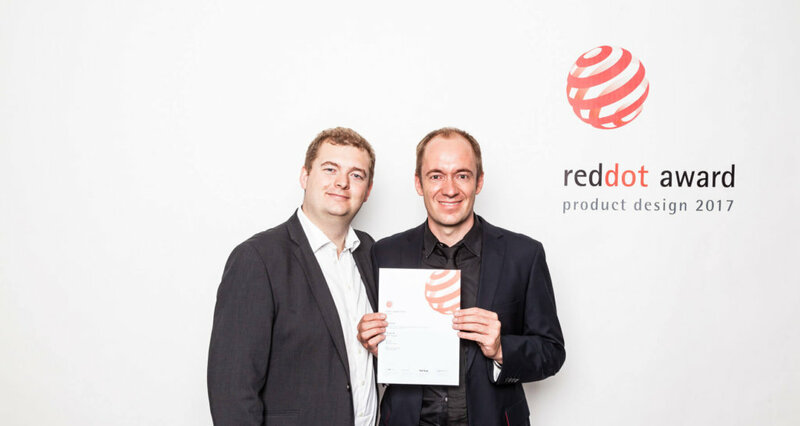 This week we went to the Award Show in Essen to receive the Red Dot Award together with our client 3Shape. We have designed the D2000 dental lab scanner for 3Shape. It is the fourth Red Dot Award that Eskild Hansen wins. The D2000 dental lab scanner fuses striking industrial design, disruptive technologies and simplicity in its ease of use. It boasts industry firsts such as the power to scan upper and lower dental models at the same time, and the ability to cut dental technicians' workflow time by up to 40 percent. See Eskild Hansen discuss the D2000 here. Not only did we just get a new espresso machine for Christmas, but also we learned top barista techniques from one of the best. Troels Poulsen, a former word champion barista, held a workshop in the studio and oh how we love all the details of latte art and the nuance of coffee’s flavor profile. You can count on an excellent cup of coffee when you stop in for a visit. This year the leaders of the American design industry get together at Fast Company’s Innovation Festival, and we were in on the action this year. We dig Tony Fidels’s ability to create great IOT companies. But more than anything he is a great example of a tech leader who understands the importance of great customer experience. “People want to understand what those things are and, how they are applicable to their life.” We couldn’t agree more. We bet you’ve never have seen anything like this. This is God Goes Deep. On selected Friday nights the Cathedral of Copenhagen opens it’s doors to the public and invites them to experience a unique spiritual experience led by some of the world’s best deejays. 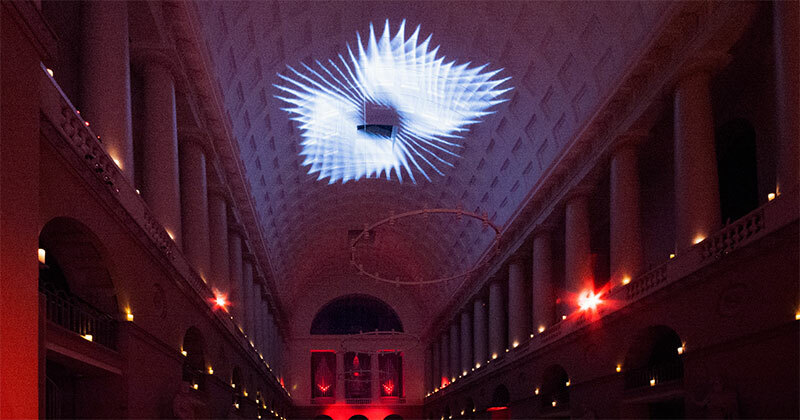 As a part of the establishment, Eskild Hansen Design studios projects visual art at the church ceiling. It is our way of stretching our artistic muscles. Come by if you are in town. We were in Italy on business. So why not stop by the biennale in Venice? As designers we need to make things that are not just beautiful, but also functional. Great artists make art that is not just beautiful, but which also pushes our perspectives. 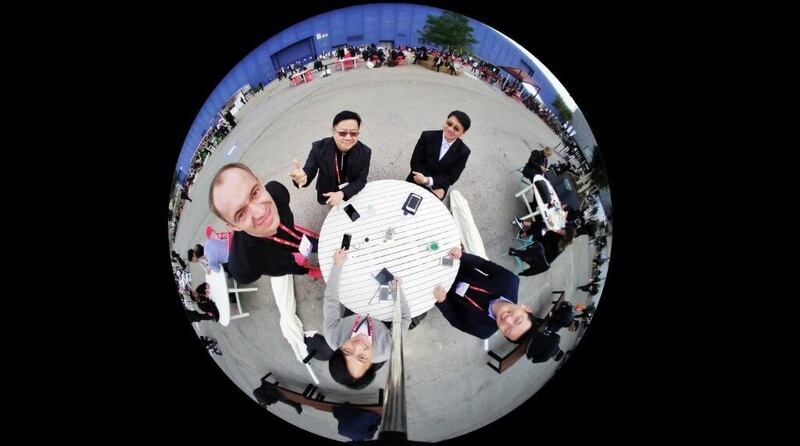 This picture is from the Russian pavilion. This Russian artist, Irina Nakhova has an attitude and courage that is inspiring. There is an interesting movement in young Russian art that is radical and that has a lot more to offer than beauty. We love you Irina!